As we settle into another year, this annual transition always gives me pause to look back and reflect on the travel experiences I enjoyed in the previous year and, of course to ensure there are a suitable amount of trips in the hopper for this year. In 2018, I was fortunate to sail on eight ships, of all sizes – from just under 10,000 tons to over 160,000 tons. Five were brand new – always so exciting to see and something I never tire of. Three of the ships are actually featured in this issue – Celebrity Edge, Symphony of the Seas and Nieuw Statendam from Holland America – a wonderful trifecta. I also visited a few of my favourite European countries – Italy and France and paid return visits to Norway, Denmark, Scotland and Portugal after years of absence. I loved spending time in each of these places again and reveled in their unique beauty. Lisbon is now one of my must-return-to places – it’s a marvellous and walkable city and as my visit there coincided with the holiday season, it was a delight to see everything so festive. I do recommend visiting some of Europe in the off-season as the weather can be quite temperate and the crowds are nowhere to be seen! There’s no doubt that last year’s highlight for me was the arrival of those five new ships – all much-anticipated, some first-in-class and each with an emphasis on innovation and gorgeous design. It was an onslaught of the senses to such a degree that I am not sure such a year can be repeated. One ground-breaking ship made an appearance on the world stage – the Celebrity Edge is unparalleled in my estimation. Having cruised on more than 250 ships on over 400 cruises, in my career, I have to say this beauty is one of the most amazing ships ever. What became clear to me as I embarked on these new, utterly beautiful ships throughout the year, is that ship design has evolved to such a degree that we are now seeing something very different at sea. Some newly launched ships in the past few years have been greatly influenced by renowned hotel and restaurant designers and these new ships have that same sensibility; many of the spaces are inspirational as well as incredibly gorgeous and guests are literally awed by what they see. Whether it’s the impressive chandeliers, exquisite fabrics, sumptuous marble, stone and wood fixtures, or the art and various art installations – all delight and surprise. As cruise lines push the envelope and use world-famous designers who bring their talent, skill and scope to ships it succeeds wonderfully and is not only pleasing for the guest but raises the level of comfort too – especially in stateroom design. Not only can we enjoy fantastic entertainment and superb dining in a wide range of venues, we can eat a wonderful meal in surroundings that are truly remarkable and beautiful. And that simply enhances each and every experience just that much more. So when you read about Nieuw Statendam, Symphony of the Seas and the Celebrity Edge in this issue and think back to reading about the Norwegian Bliss or Seabourn Encore in a previous issue, consider that these are some of the ships leading this design revolution. 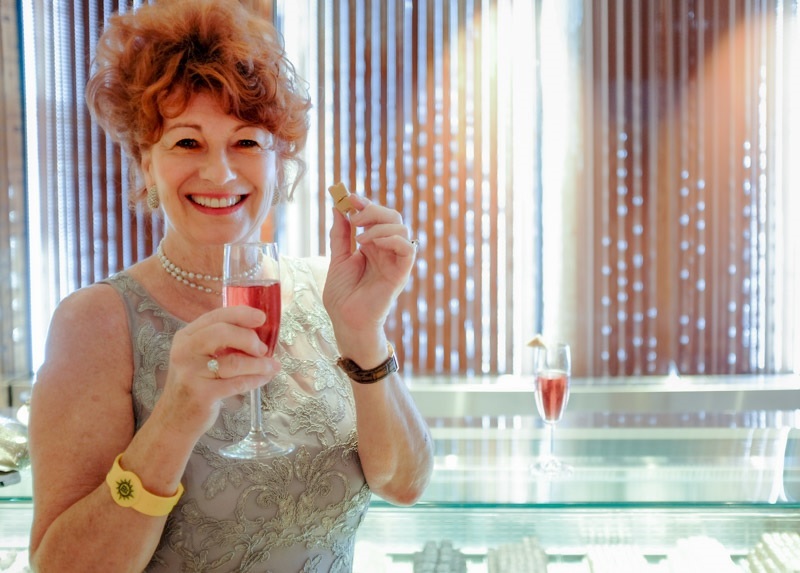 They are giving guests something remarkable – not only a cruise to some of the world’s most wonderful places, but also the experience of an extra- ordinary ship. Such memorable moments should not be taken lightly but rather embraced and enjoyed in every way. PS –We have quite the year in store for our readers with a focus on Europe in our Spring and Summer issue and then a spin on our annual Exotics publication coming in the Fall. We also plan to launch our monthly newsletter this year so sign up with your email address – this will be something you will want to read! Originally published in Cruise & Travel Lifestyles Winter/Spring 2019 issue.